What BSM theories predicted the forward-backward top quark production asymmetry? 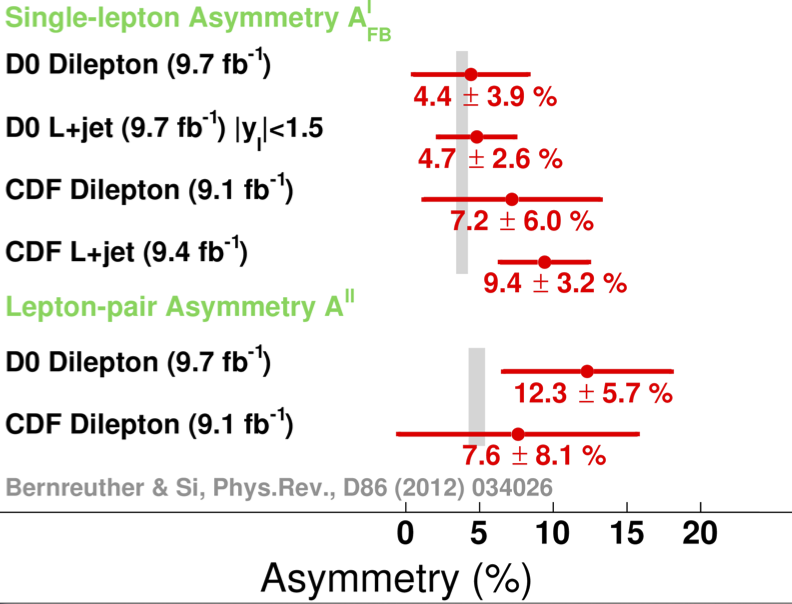 This large asymmetry was always difficult to explain in concrete models. One fairly reasonable proposal was light (100-400 GeV) axigluon - a massive vector field in the SU(3) octet representation that couples to quarks with the similar strength as the gluon, but with different couplings to left- and right-handed quarks. Another possibility was a 1-2 TeV Randall-Sundrum KK gluon (equivalently, a gluon-like resonance in composite Higgs models) with a very strong coupling to the top quark. Yet another option was a Higgs-like scalar with flavor violating couplings to the up and the top quark. Only the KK gluon was really motivated in a bigger picture, but this model had strong tensions even before the D0 updates.